There's no stress, taxi bookings by SMS. All you need is your CABSTOP code. Enter your business address to get your code. 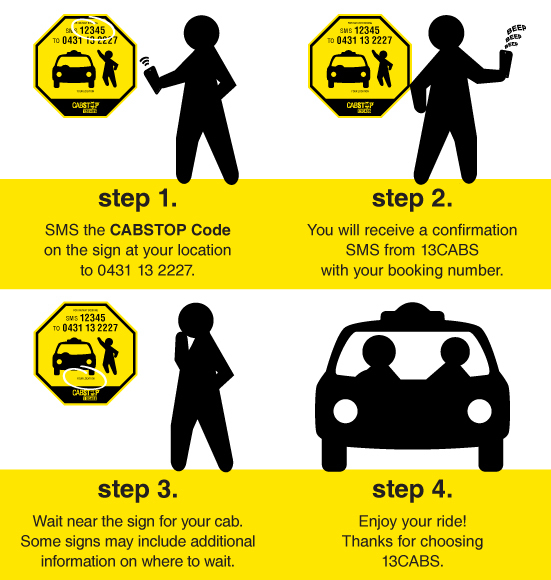 After you have got the CABSTOP code for your business, find out about the permanent sign options.